Welcome to the web site of Ediciones Edilux S.L. 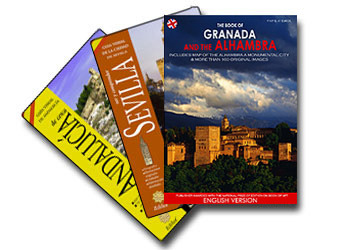 » We are specialized in the production of guidebooks about Andalusia and its historic cities and sites. » Buy securely in our on-line store with PayPal. We accept credit cards: Visa, MasterCard, American Express and Discover. » Take a look at the design of some of our publications. We guarantee you will be fascinated. » Consult our new section where you will find the most beautiful posters.